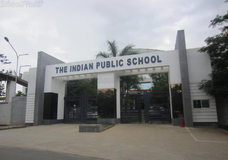 Find below the list of top schools in Kalapatti - Coimbatore with phone number, address, 360° School tours, 2018-19 Admission forms & Fees, photos, facilities & more. 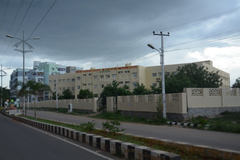 Maharshi Vidya Mandir is located in Saravanampatti, Coimbatore. It was established in 2011. This school follows the CBSE board. The school has English medium. The purpose of schooling “should be to develop intelligence and to help students reach their goals that are appropriate to their respective intelligence. Students who are helped to do so will feel more engaged and competent and therefore more inclined to serve the society in a constructive way. Our aim is to meet these requirements of children. BVB environment will make them critical and creative thinkers with a lifelong passion for excelling. Our faculty is a carefully handpicked team, who will provide an enriching and joyful experience of learning, caring and sharing. Let the children build their skills. Let them explore. Let them Rethink Everything they learn: We believe these are what matters for their better tomorrows! Let us embark together on this journey of success and to facilitate the creation of global leaders. Are you worried about your child's admission to a school? 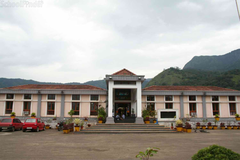 Worried about interviews in the best schools in Kalapatti - Coimbatore? 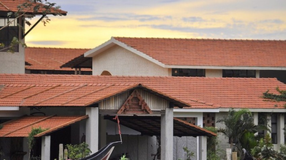 All it takes is a little bit of planning and going for a lot of options, which can be found on Sqoolz's list of best schools in Kalapatti - Coimbatore. 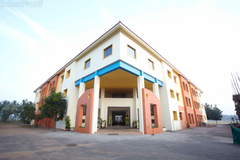 The top schools in Kalapatti - Coimbatore are registered with us. Find all their details - location, address, fee structure, facilities and more! Also take our virtual tour, a feature that gives almost a first-hand experience to parents.